Singapore is filled with colors from the main streets to our bedrooms. We see colors every day that sometimes we forget how it can influence and affect our lives. We have to know the meaning of colors because it is one step closer in understanding our lives and the society in general. There are different meanings of colors. The meanings vary depending on the circumstance and the culture however, we can easily learn the language of colors by educating ourselves of some simple concepts. 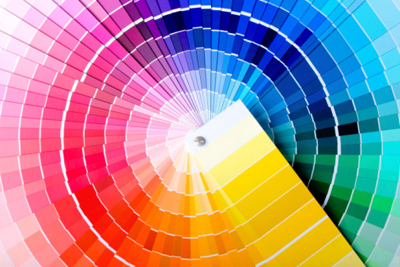 Before moving to the simple concepts of colors, it is crucial that we know what color is. A color is a form of non-verbal communication. There are 4 psychological primary colors which includes red, blue, yellow and green. Each color is related to the emotions, body and mind. Aside from the primary colors, there are also eleven basic colors with different meaning and personality. If we are curious of the meaning of colors, we have to continue reading. Red: Of all the primary colors, perhaps red is the most famous. Experts say that red has the longest wavelength which makes it a powerful color. It speaks of courage, strength, warmth, excitement and energy. However, we also need to consider that red also denotes aggression, defiance, strain and anger. Blue: Blue speaks of intellect, communications, serenity, duty, coolness, calm and logic however, it also denotes aloofness, coldness and lack of emotion. Experts say that blue is the color of the mind and it is basically soothing. Yellow: Yellow speaks of optimism, self-esteem, emotional strength and creativity however, it can also mean fear, fragility, anxiety and depression. Experts found out that the wavelength of yellow is quite long. This means that yellow is the strongest color psychologically. The right yellow will be enough to lift our spirits but the wrong tone will give rise to anxiety and fear. We do not want that. Green: Green speaks of balance, harmony, rest and peace however it can also denote stagnation and boredom. Green is a color that does not require any adjustment when it strikes our eyes. This is the reason why green is restful. Green is at the centre of the centrum thereby its harmonious property. When we see plenty of greens around us, we will think of abundance and not famine – which is a very disturbing thought. There’s still violet, orange, pink, grey, black, white and brown. Life is dull without colors. Regardless of the meaning, let us just be thankful that these colors continue to bring brightness.